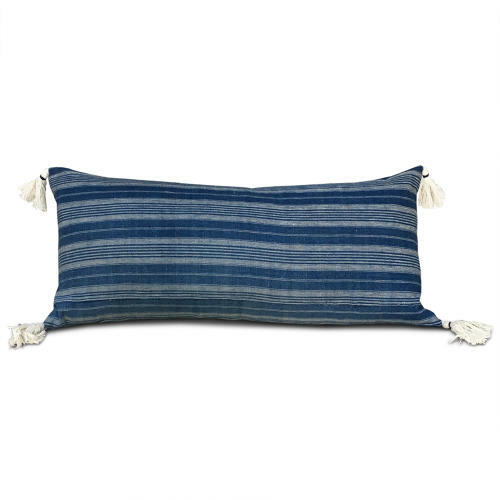 This long cushion was made from the cotton backing fabric from a Chinese Minority Quilt. Its long size makes it perfect for dressing a bed. The textile has been woven on a traditional narrow loom and the widths sewn together to make a wider piece. The quilt back is used for both sides of the cushion. It has cotton tassels, zip fastener and feather pad.